The name DRAUP is inspired from the word ‘Draupnir’ which, in Norse mythology, means having the ability to multiply itself. People who have helped us become what we are today. Draup's POV on the latest technology and sales methods. The automotive industry has undergone a sea of change. The traditional automotive industry has been getting disrupted by technology providers across diverse industry sectors; software, semiconductor and telecom industry leaders are now direct suppliers to automakers. Intel with the acquisition of Mobileye will become a full stack autonomous solution supplier; Google Waymo is the market leader in autonomous technology, and testing its own fleet of autonomous vehicle. And many other global companies are now disrupting this space. Even auto companies are no longer in the business of merely manufacturing and selling cars. Smart Mobility, Connected Car, Electrification and Autonomy are the major technology-driven trends emerging across the industry. And OEMs are more focused towards modular development of vehicle systems, mainly to reduce manufacturing complexity at final assembly, to lower costs for development & purchasing and improve quality. These changes have also impacted the nature of engineering services required and the role that third-party providers play. Service providers are increasingly being viewed as key partners who can help accelerate time-to-market and reduce costs, in the fast-changing automotive landscape. Hence, it comes as no surprise that the automotive engineering services market has grown by 13.5% over the last 2 years. 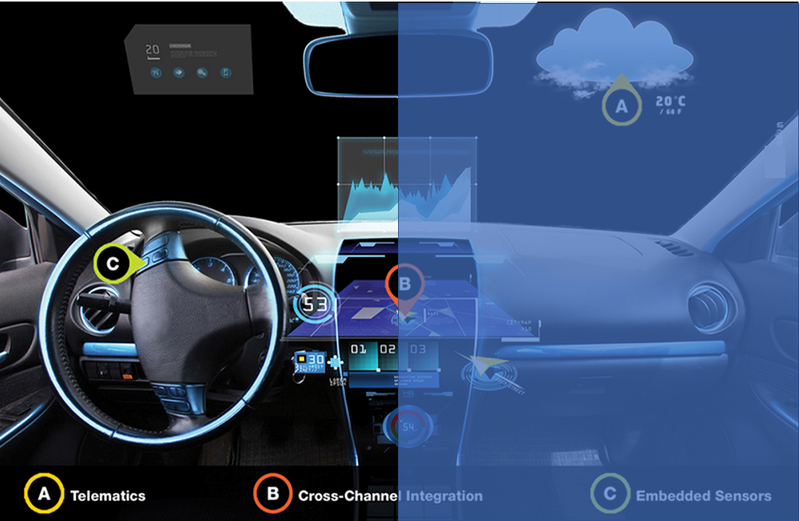 The key drivers responsible for this growth include a constant increase in the automotive R&D spend of global companies, the outsourcing of non-core activities by automotive companies and increased ER&D investment by software and telecom companies in Autonomous & Connected car verticals. DRAUP estimates the total automotive R&D spend in 2016 to be $117 Bn. Volkswagen, Toyota Motors, Daimler AG, General Motors and Robert Bosch account for 40% of this spend, which indicates that global R&D spend is highly consolidated among OEMs. Among top global automotive R&D spenders, 23 companies spend more than a billion dollars in R&D spend annually. $32.5 Bn is what DRAUP estimates as total addressable opportunity (FY 2016) for captives and service providers, of which $13.8 Bn is still untapped. Since the automotive industry is traditionally manufacturing-driven, 70% of the addressable opportunity lies in design and manufacturing of Mechanical technologies such as Body engineering, Powertrain, Chassis and Wheel assembly. Car makers and software companies are spending heavily in autonomous & connected cars market (approximately $30 BN). This will increase the outsourcing in embedded and software technologies in future. The top 5 engineering outsourcers, globally, are Renault, Volkswagen, BMW, Daimler and Ford. All are OEMs. Their aggregated engineering services spend is $2Bn – $3Bn. Most major OEMs have their hubs based in Western Europe. Since a significant portion of OEM R&D is interdependent and consolidated to the hubs, OEMs tend to work with local service providers. This explains why Western Europe service providers dominate the $10.1 Bn engineering services market. However, in the past 5 years, there has been an increased globalization focus, with decision-making and leadership moving toward emerging geographies like India and China. Ford, for instance, is investing $1.8 B to expand the R&D centre in China focused on hybrid and electric vehicles. GM plans to manufacture all its Electric Vehicles in its satellite China center within 2 years. This has led to greater ownership within the global centers. The outsourcing market in India and China is expanding as well, with Indian IT service providers and other niche solution providers developing capability in new age technologies such as navigation and infotainment systems, collision prevention systems, lane departure warning systems etc. Western European service providers like Altran are also expanding their India operations by setting up new centers and/or acquiring other service providers. A study done by DRAUP showed that the aggregated R&D spend of the top 30 OEMs is ~$74 Bn and the outsourcing spend is $8 Bn, while the aggregated R&D spend of the top 30 Tier 1s is ~$35 Bn and the outsourcing spend is $2 Bn. This indicates that OEMs have a higher propensity to outsource, allocating ~10% of their R&D spend to outsourcing. Tier 1s, on the other hand, spend only 6% of their aggregated R&D spend on outsourcing. OEM R&D is more consolidated with more than 50% of their workforce based out of their HQ center. With the hubs of most OEMs located in Western Europe, they prefer working with local vendors. This explains why Western Europe vendors account for more than 60% of the overall engineering services market, with top vendors being Altran, Alten and EDAG. Tier 1 auto companies, on the other hand, are highly globalized with 71% of their workforce present in non-HQ centers. They are now focusing on building in-house engineering services capability either by creating their own captive centers (RBEI India is Bosch’s Engineering Services arm), or by acquiring engineering service providers (In 2015, Continental acquired ElektroBit and Harman acquired Symphony Teleca). With new Chinese OEMs like NextEV going global, many are setting up R&D centers in the Bay Area to leverage the location’s software talent availability in new age technologies like Electric & Autonomous vehicles, Connected cars and Smart Mobility. NextEV, backed by Chinese investors, builds electric vehicles and is primarily looking to sell into China’s huge, growing market for electric vehicles. The US market is next on their radar – NextEV has an electric car targeted for the US in 2019. Other auto manufacturers are leveraging engineering services providers’ global R&D experience. BAIC Motor for instance has a joint venture R&D center with Akka Technologies for the development of passenger vehicles, instead of establishing their own R&D center in Europe or in the US. BAIC is gaining from Akka’s experiences in Europe and looking to transfer its learnings to the Chinese market. DRAUP’s report on “Automotive Engineering Services Is Experiencing Unprecedented Growth” analyses the automotive engineering R&D market, drivers for outsourcing, addressable outsourcing opportunity and spend, global R&D hubs and hotspots, key vendors and potential auto companies to target. Please rate this article to publish more quality articles. Subscribe to our newsletter and receive the latest research and insights from Draup.